Last week I offered my novel Reborn to readers for free using Amazon's KDP Select free days. To my surprise, the book hit 19 on the top 100 free list. Even cooler, it stayed in the top 100 for its entire free run. I say surprise because Bookbub had turned it down (in your face BB!) and I didn't feel all that confident in other paid marketing venues. In fact, I booked only one paid list (Freebooksy, which actually generated a decent amount of free downloads). I was bracing myself for the whole thing to be a huge, giant FAIL only to have my book's free run perform very well. So how did my book do so well with so little support? Well, first of all, let me share that I've been an indie since before Bookbub existed. I was here when selling books was so easy some people made millions (I came in at the tail end of that, unfortunately) and I was here when third party lists (aka Bookbub) were the key to success and now I'm here as most of those third party lists fade and authors are left to mill about as they try to figure out what's worth spending their marketing dollars on (FB ads? Twitter ads? Amazon ads? What exactly?). Unfortunately, I cannot offer you any quick fixes. Most of what I did relies on the fact that I've been around for a while and have built up things like my newsletter, network and key technical skills. AND it doesn't cost $2,000! 1. I spent $100 on Facebook ads. I budgeted for more, but that's what I ended up spending. Because I've been doing ads for a while, I know how to target readers and write ad copy that gets clicks. My click through rates were 10%+ at a cost of $0.08 per click. The problem was, with just 3 days in my free run, my FB ads couldn't really gear up and hit critical mass. This is one of the major drawbacks to FB ads, they don't move fast enough in the short term. 2. I hit Facebook groups. Since I've been around for years, I seem to be able to post in 50+ FB groups at one time without going to FB jail. (Please don't let writing that jinx me!) I hit the groups hard at the start of the free run and just before it ended. It definitely moved books BUT note that I spent some time on my 'ad copy.' I didn't slap just any ol' string of words into my posts. 3.Reborn is part of a larger project. So I had other authors who wanted to see Reborn do well because it also benefited them via sell through to their books in the series. They helped promote the free run. 5. I have a big newsletter (since I'm such an ancient indie and all) and readers supported the free run. They downloaded, shared posts, liked my FB post in various groups and were generally behind the book cheering it on. (THANK YOU READERS!) So basically, I went into this free run with a reader base, which always helps. 6. I made sure to tell everyone this was the first time Reborn had ever been free so readers would know they probably hadn't one clicked this particular book before. I also emphasized there were more books in the series--all in KU, which made it attractive to readers using KU. 7. Being in KU does seem to confer some extra sparkle to a free run. I don't have a lot of experience with KU, but Amazon's system really loved my book for whatever reason. 8. The book was on trend. I didn't take a book in a genre that no one cares about right now (my Burlesque action adventure romance *sob*) and set that free. No, I focused on a genre that I knew had a strong audience. TIP: Regardless of how you write your genre, always angle your marketing to what's trending (without crossing the line into outright lying because no one likes a liar, but don't be afraid to highlight what's hot in your books...or to slap your hero on a motorcycle if everyone's digging motorcycles. No, that's not a cheap trick, it's called giving your book market appeal, much like a house needs to have curb appeal. Appeal to readers, make them happy and you'll sell books!). WHY DID I GIVE MY BOOK AWAY FOR FREE? 1. To push the whole series (which it did very well). 2. To find new readers (who are signing up for my newsletter in droves). Free has a (deferred) payoff, but you must know how you're going to make it worth the initial loss of sales revenue. Are you an author? Did you like this post? Want more? I have an irregular marketing newsletter that you can sign up for. I do NOT promote my books or anyone else's. There's no bookselling. It's just for marketing information and posts like this one. 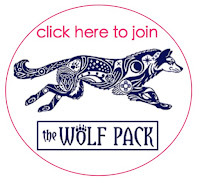 Winners of the Wolf Pack Howl are posted below each author's name. Thanks for joining us!